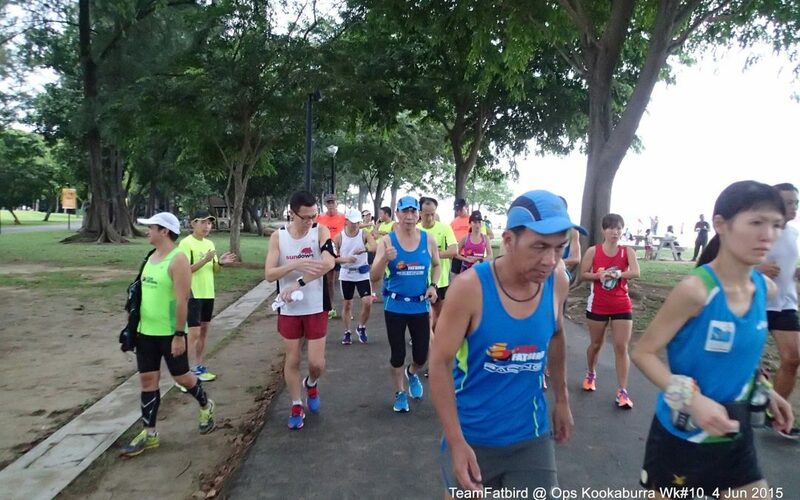 With two weeks to go before the Gold Coast Airport Marathon (GCAM) 2016, the Kookaburras gathered for their final long run of 28km at Parkland Green, ECP. 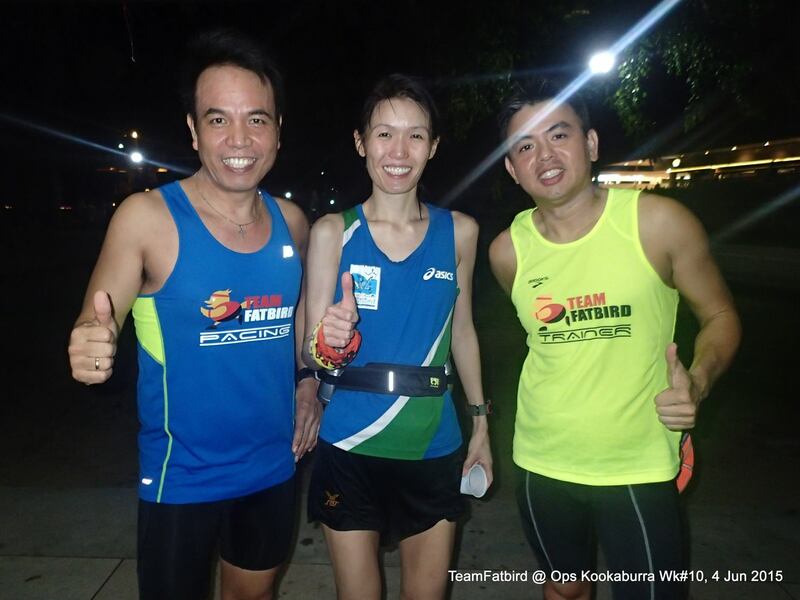 Having already completed their longest run at Optimal Pace of 35km 2 weeks earlier, the GCAM-bound runners from Team FatBird were all ready to up the ante with the Enhanced Marathon Pace for their 28km to sustain a good effort. 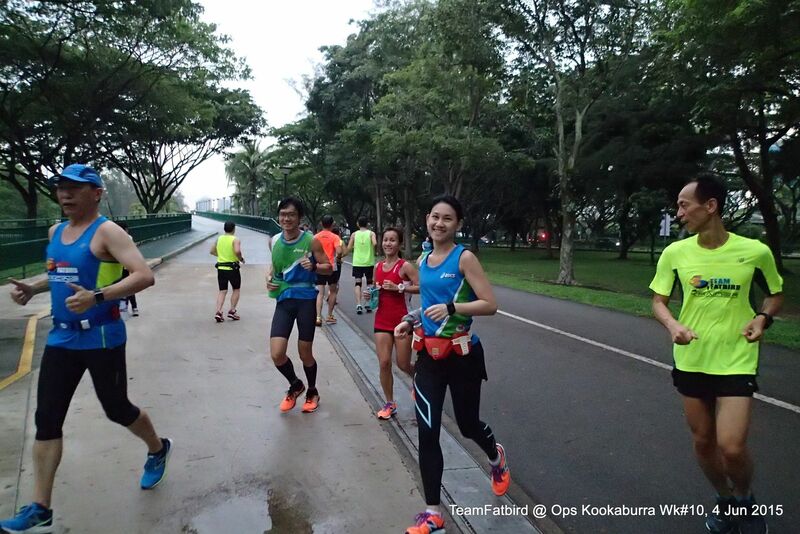 The morning weather was cool with cloudy skies, allowing the Kookaburras to start off strongly towards Fort Road, Gardens By The Bay and then entering the Marina Bay Sands (MBS) stretch. 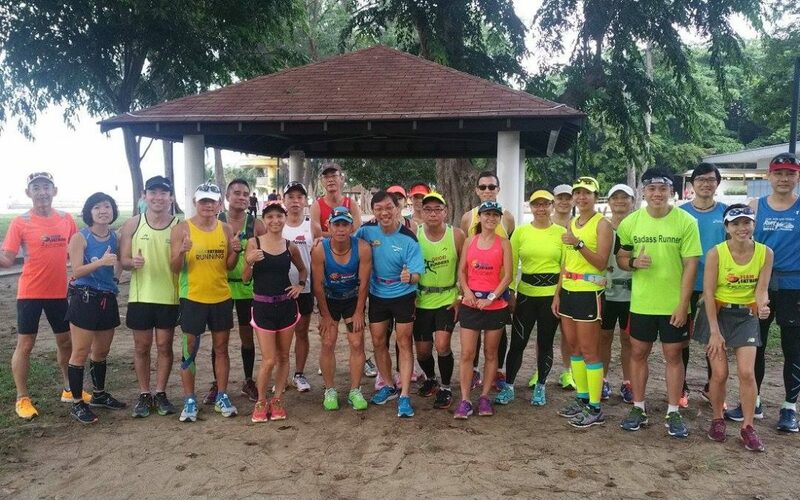 We met many familiar faces from SAFRA Running Club and the SuperHeroes Run along the way, adding a touch of fun and gaiety to our training run. The Kookaburras were able to maintain their target paces all the way back to Parkland Green for 18km. 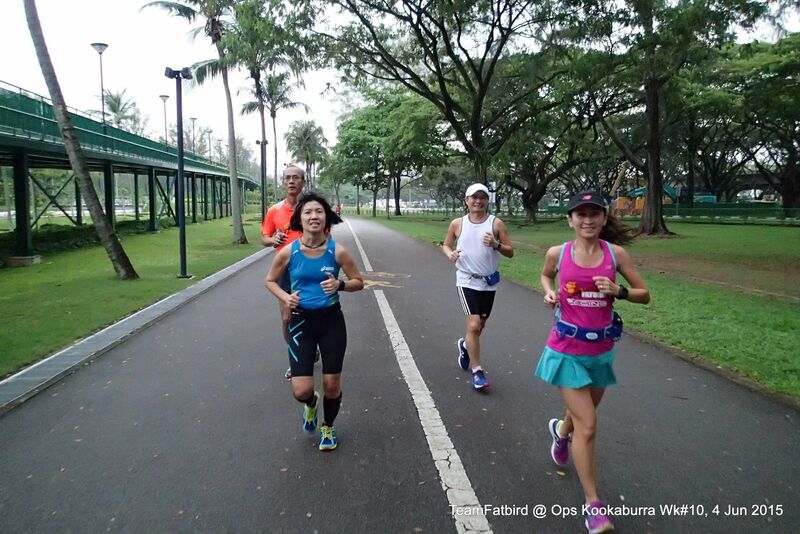 With the good support of iced-cold isotonic drinks and bananas from the dependable FatBird Support Crew, the Kookaburras were able to perk up to continue with their strong effort all the way to F2 CarPark and back for a total of 28km. 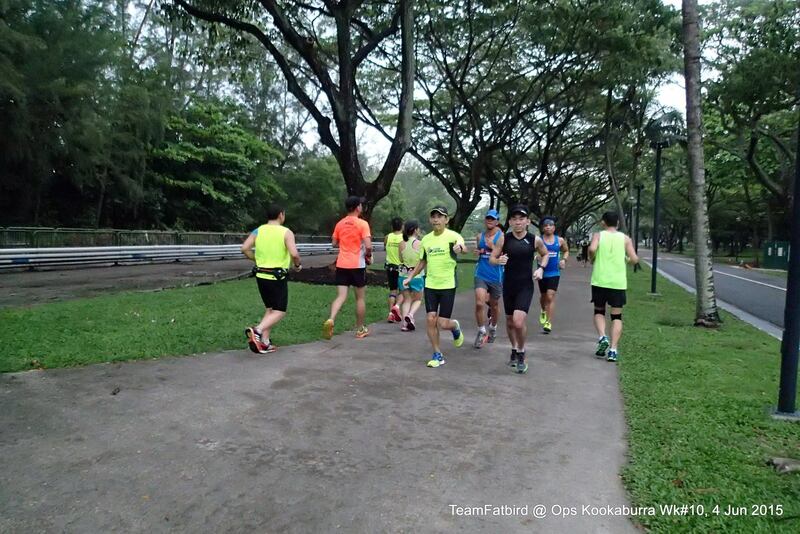 It was a satisfying and fulfilling run for all the Kookaburras, enhancing their confidence levels for race day in the great GCAM weather which will allow for even easier effort for faster paces. The excitement is in the air as we discussed final preparations and gearing up with adaptive recovery, eating ‘cleaner’, carbo-loading, sports massages and foam-rolling in the coming 2 weeks for an optimal race-conditioned body. 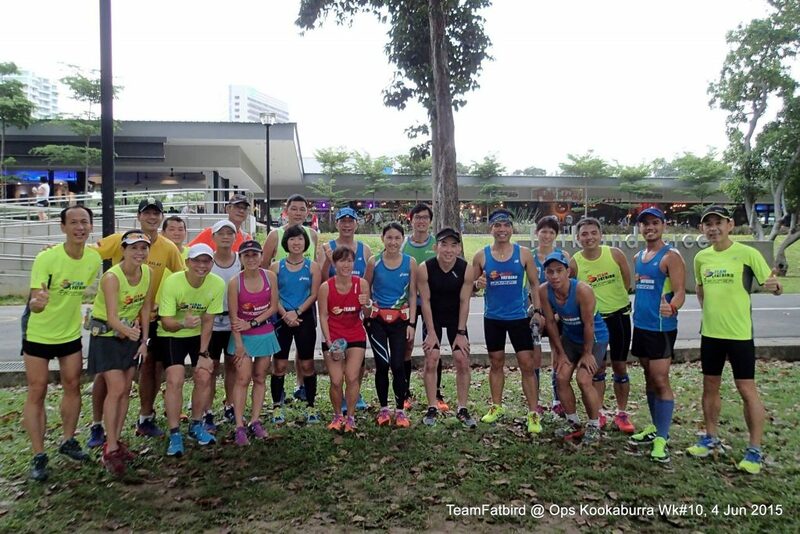 We look forward to meet the Kookaburras and Team Singapore at GCAM and wish all our marathoners a fruitful and Personal-Besting performance on race day. 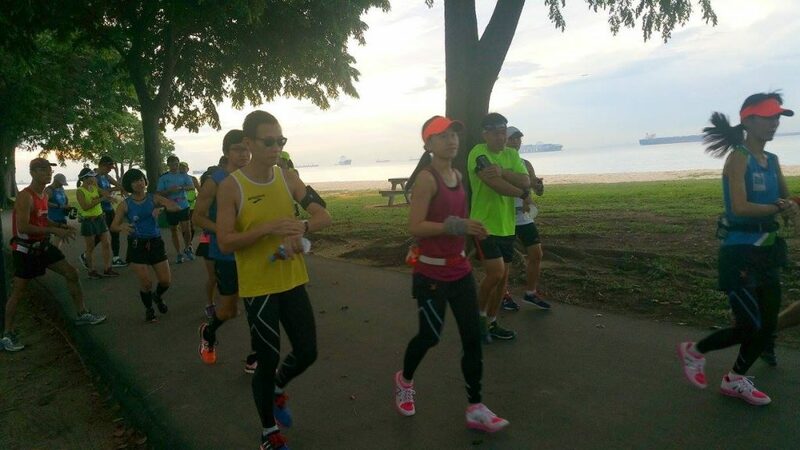 The coming weekend will have us doing a final long run of 18km at Enhanced Marathon Pace, before we leave for Gold Coast from 30 June 2016. The Kookaburras Are Primed For Success At GCAM! After a good Sundown Marathon last week, the Kookaburras resumed training with their longest run of their 12-week training program for Gold Coast Airport Marathon (GCAM). The evening weather at ECP was cool after the afternoon bout of showers, lending to a good run ahead for the enthusiastic trainees who were excited to test out their Optimal Pace over 21km and 35km as a gauge of how they may fare at GCAM in early July. 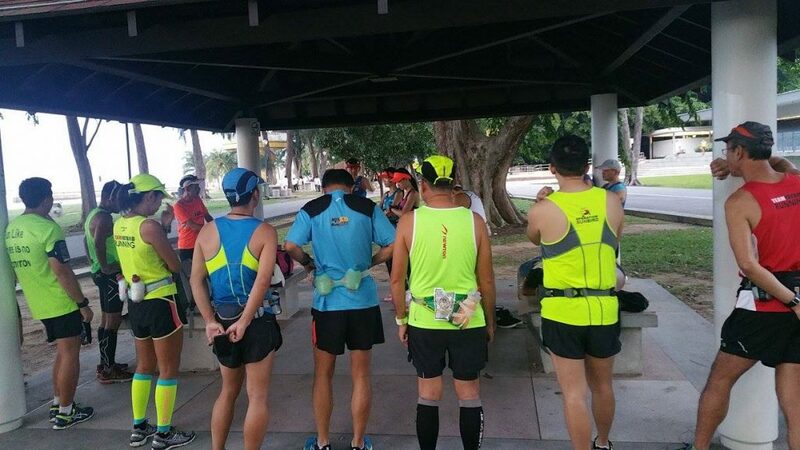 The respective groups of 4:00h, 4:30h, 4:45h, 5:00h and 5:30h set off with their trainers at 6:30pm towards Fort Road, with the plan to run a 21km larger loop, followed by another 10km-14km smaller loop with the main focus of sustaining their Optimal Race Pace for as long as they would hold without breaking down. 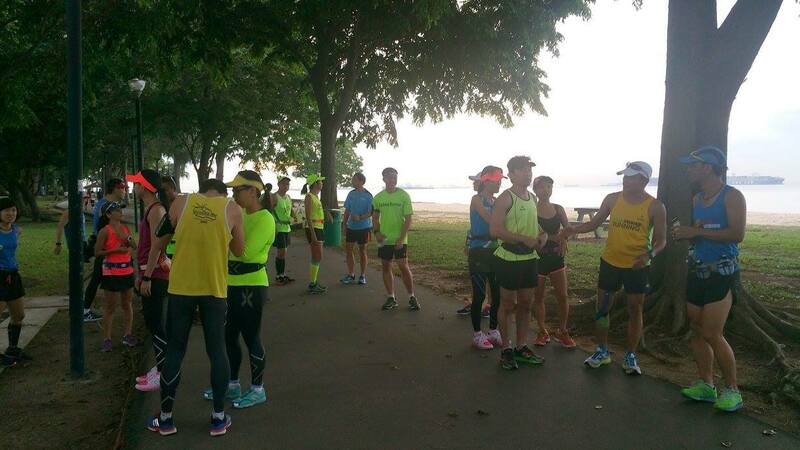 The first 21km was completed strongly by all groups with the pace held well. Isotonic drinks and bananas provided the fuel to sustain the second loop on slightly tiring legs. 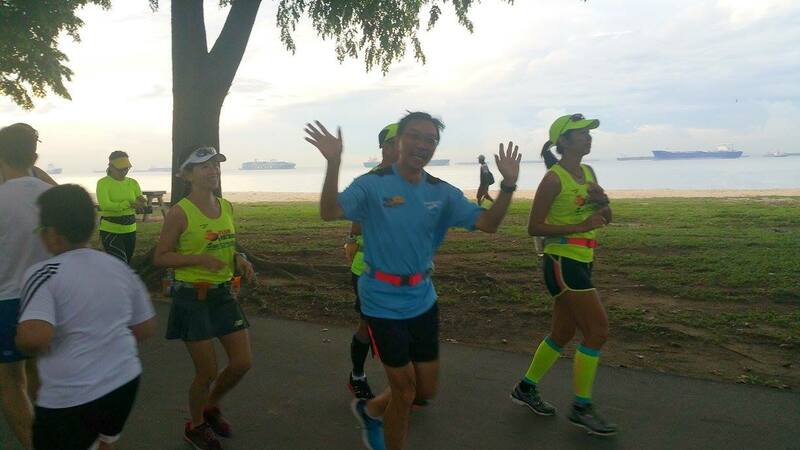 The majority held on to pace well into 25km-28km, while a few started to find the going a little challenging with threats of cramping and the onset of muscle fatigue. 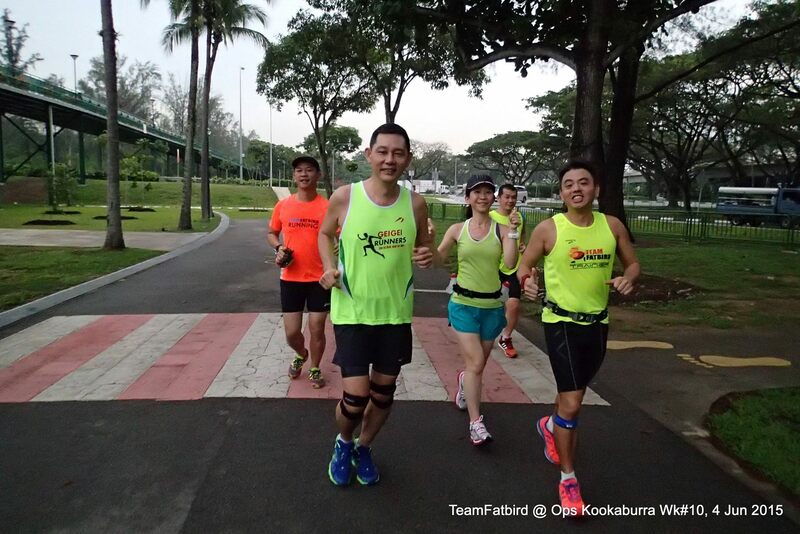 With the encouragement and guidance of the FatBird trainers and pacers, all the Kookaburras completed their training objectives in good form, returning back to the start point by 10:30pm, 4 hours maximum on-feet time. Although feeling tired, the Kookaburras were satisfied having completed their longest run in good form and meeting Optimal Pace. With one more 30km next weekend, the Kookaburras are now looking forward to the Tapering Phase to set the stage for a good race at GCAM in what would be excellent weather and conditions to do even much better than what can be achieved in hot and humid Singapore. The Kookaburras Delivered On Their Longest Run!